Appetite HQ is, not surprisingly, generally filled with treats. Indeed, there are times when even we may be jaded by the sheer quantity and quality of our daily bounty. 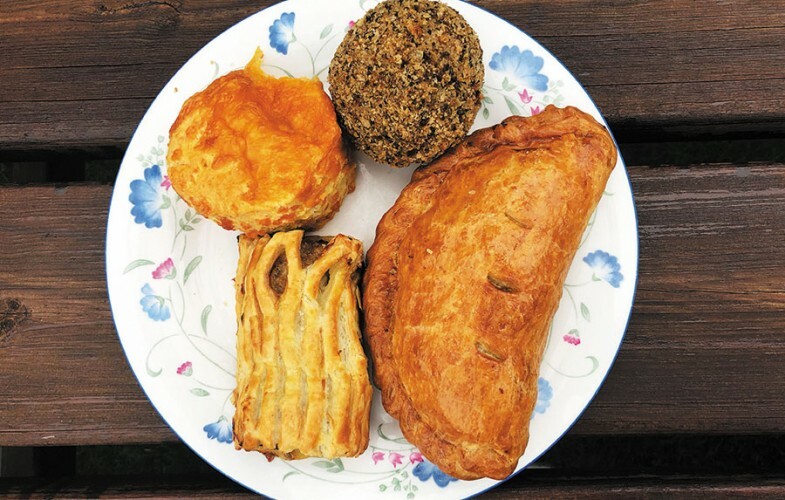 Yet my haul from a recent trip to Knitsley Farm Shop prompted fevered excitement – oohs, aahs and much haggling over boxes which included Knitsley’s sublime corned beef pasty and a huge Scotch egg, both of which came to a swift end in HQ’s Pie Corner. 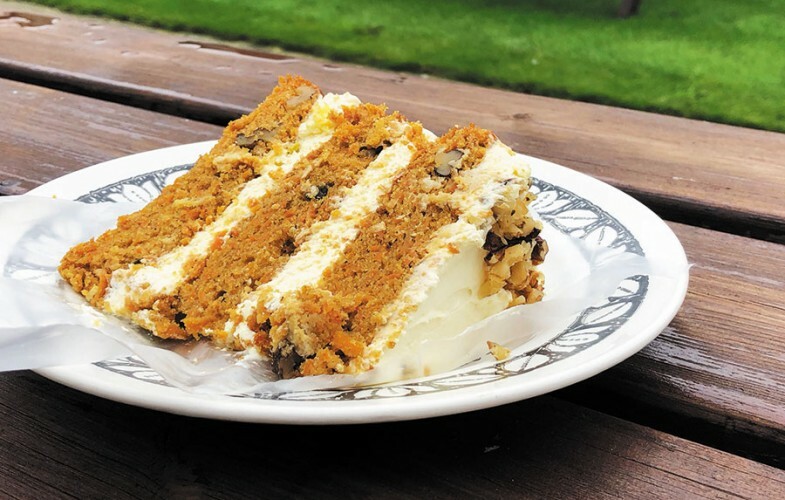 A red onion marmalade sausage roll – a sublime partnership of spiced sausage meat and sweet onion – made quite a mark, while the farm shop’s last cheese scone of the day caused an unseemly furore in the scramble for a mouthful. 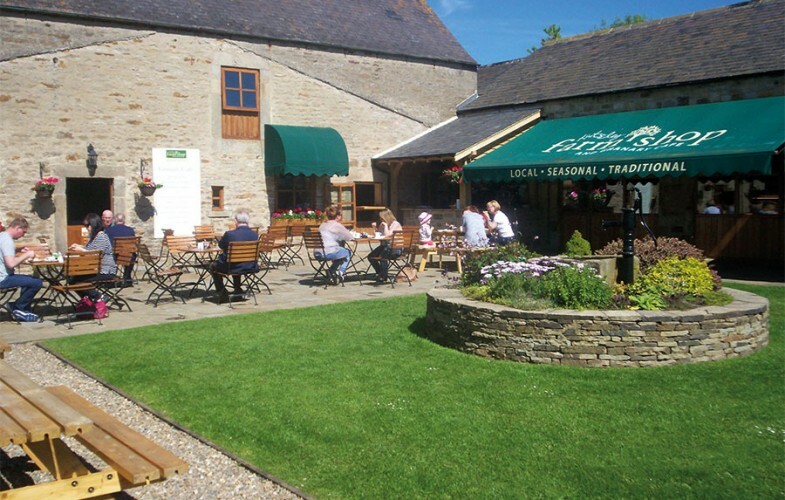 Knitsley’s cakes are as good as its savouries, whether enjoyed back at the office or at the Granary Café across the yard from the Farm Shop. 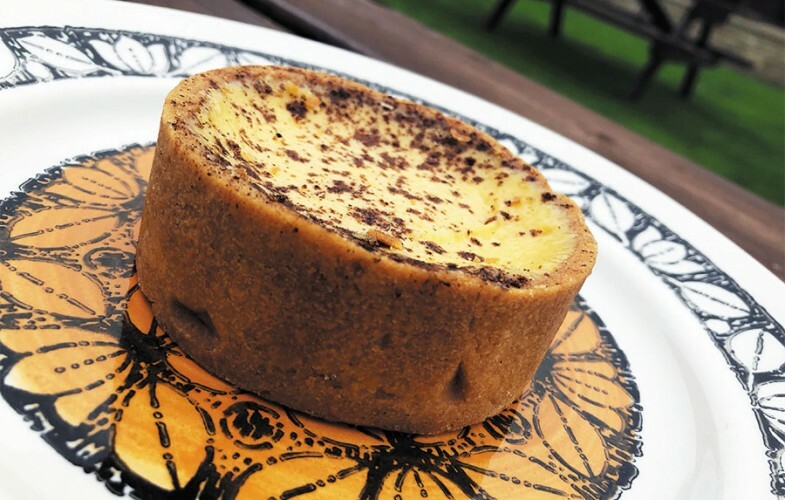 Ours – carrot and walnut with lashings of lemon butter cream, a salted caramel cake finished with salty bitter chocolate, and a sublime custard tart – were each as delectable as the last.